Bio: Penelope Milner has worked as a practising artist since obtaining her BA Honours degree at the University of Wales in 1982. She has won awards with the Royal Society of Oil Painters and the Pastel Society (UK) who awarded her with the Debra Manifold Prize in 2004. In 2009 she was awarded the title of Maître Pastelliste by the French Pastel Society. She exibits with them in Bordeaux and Paris and each summer at the International Pastel Festival at Feytiat, Limoges. 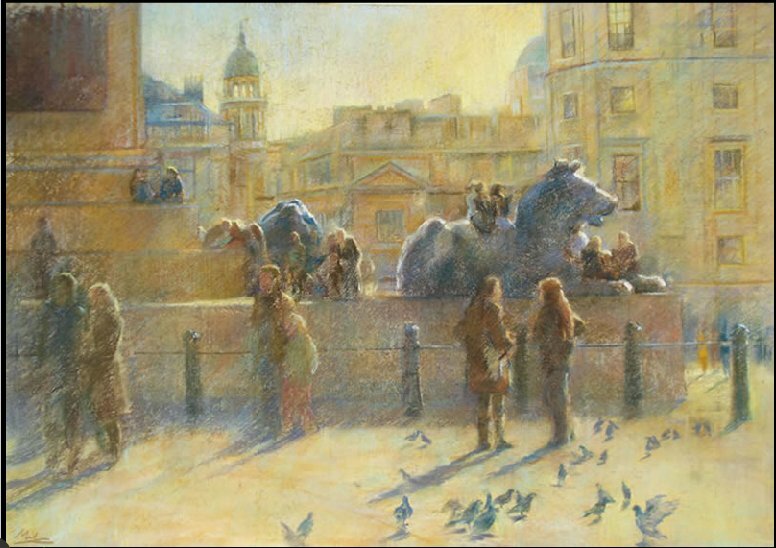 She also continues to exhibit with the British Pastel Society. Over the last ten years Penelope has undertaken portrait commissions in America and in Europe, primarily, but not exclusively, of children. Her works has been featured in Artistes Magazine, Thématique no. 21; Pratique des Arts, Spéciale Pastel 2010 (extensive and informative interview), and Dessins et Peintures, Thématique, l’Art du Feminin. Penelope Milner lives in Catus, the Lot, France. Pénélope Milner a travaillé comme artiste peintre depuis son diplome "BA honours" de l'université de Pays Galles en 1982, elle à remporté plusieurs prix au sein du "Royal Society of Oil Painters". Pénélope Milner a été nommée en 2009 "Maître Pastelliste" par la Société des Pastellistes de France. Pénélope Milner enseigne son art du pastel, appliqué aux portraits et paysages sous forme de stages et de cours dans son atelier de Catus, Lot. Elle expose avec la Société des Pastellistes de France chaque année, dans les Salons de Bordeaux et de Paris. Elle participe également au festival international des Pastellistes à Feytiat, Limoges, ainsi qu'au " British Pastel Society" à Londres. Medium: Oil, Pastel. With pastel she works primarily on Lotka paper, hand-made in the Himalayas. Style: Representational to impressionistic. Some of Penelope’s figurative work is remniscent of that of Sally Strand. Navigation: This website is bilingual – French and English. It has a modern, clean look to it and is a pleasure to navigate. Image View:Click on images to see them enlarged. One can scroll through them, and it is like being in a virtual gallery. Paintings are labelled with medium and dimension, and may be saved. 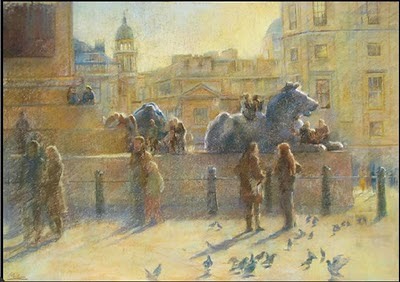 I had the pleasure of seeing her painting of Trafalgar Square, among others in Limoges, summer 2010. Blog: Yes, at her Daily Painting link. This blog is in English, French, Spanish and Italian.